What are MHF custom-made mini manuals? The Men's Health Forum now has a long track record of producing tailor-made male health Mini Manuals for a variety of partners. This has included working with a range of PCTs, SHAs, companies and voluntary sector organisations. View manuals for Yorkshire and Derbyshire farmers here. 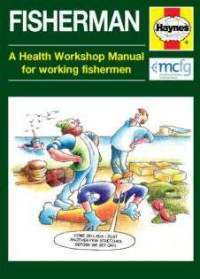 The Seamen’s Hospital Society (SHS) and the Men’s Health Forum have recently joined forces to launch a new health booklet directed at fishermen working in the UK and timed to coincide with Seafarers’ Awareness Week. For more information on how this manual was put together and for quotes from SHS click here. This is a collaborative initiative between SHS and MHF, with input from various fishing organisations, including: the Fishermen’s Mission, Seafish, the Maritime and Coastguard Agency and fishermen themselves. It follows the success of a similar mini manual for farmers, which was highly commended by the British Medical Association. Another recent example is Bristol Man. Bristol NHS and MHF launched Bristol Man specifically to coincide with Men's Health Week 2012 and updated in 2013. It covers many useful topics customised from our popular Mini Man manual with a few other additions of particular interest to men in Bristol. 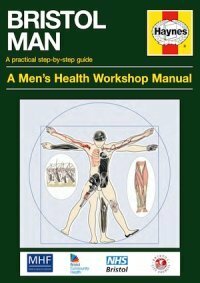 This manual is a useful resource to inform men of the key health issues relating to them as well as providing options and guidance on how to seek further information and make the most of the NHS locally. These examples illustrate the sorts of resources that are possible with a tailor-made publication. It is possible to target a specific group of men (perhaps in a specific location), or to present a specific condition or health issue to men. Furthermore, it is possible to use your company’s branding to influence the style and tone of the manual. This depends entirely on what kind of campaign you want to run — traditionally we provide space on the covers for a logo although there are other options available including packaging, inserts and space for copy explaining the involvement of the co-sponsor. What do sponsors need to supply? While the design is often based on the famous Haynes manual format, it is possible to develop a new cover and manual design if that would be more effective to reach your target group. In terms of content there are several options. You can supply the copy (either something you already have - or something new). Following getting your copy we will then edit into the house style. Alternatively, you can brief us with your requirements and we will draft the content for you. In order to better shape the mini manual it is possible for the MHF to conduct a number of focus groups and 1-2-1 interviews with local men. This will provide important information on how men in your area or company currently access health information and what they think of a draft version of your tailor made mini manual. This information helps to shape the final manual and to ensure it closely engages with men's local needs and interests in terms of their health. For more information on how we can work with and undertake a focus group, you please click here. The costs above do not include the costs of holding focus groups and writing a report based on the transcriptions of the groups. Please contact Rachel (details below) for more information on this. For more information, quotes or to see some samples please contact Rachel Mustafa at: Rachel.Mustafa@menshealthforum.org.uk or call 020 7922 7908.